With Sun 189 stiffing on all fronts, Sam Phillips had another Prisonaires record on the market barely two months later. The move had an element of damage control about it, and the record was a calculated play on the group's novelty appeal. Only rarely can two versions of a song be hailed as classics, even less often are they on the same label. This beautiful poised blues tone poem is one of the finest of Phillips' early recordings, and Elvis Presley's striking re-imagination of it is, of course, is among rock and roll early defining moments. Everything meshes on Junior's record so that the end result is much greater than the sum of its parts. And the parts are really disarmingly simple' Junior's melodic composition and smooth, high pitched vocal; the gentle train rhythm established by the bass and drums; a breathy saxophone; and the instantly memorable guitar riff. In fact, it's the rhythm that provides the songs's hook. A piano is buried in the mix to no great effect. It's a deeply affecting, personal and atmospheric blues that stood little chance of repeating the success of its predecessor, ''Feelin' Good'', at least in part because the title appears nowhere within the song. When it originally appeared, ''Mystery Train'' was credited solely to Junior Parker and published by Memphis Music. By the time Elvis Presley recorded it in 1955 Sam Phillips had appended his name to the copyright (possibly in part settlement of Junior Parker's contract dispute) and the publishing had been transferred to Phillips' Hi Lo Music. ''Ike Turner had a little three or four piece band'', Little Milton told Jim O'Neal. ''Himself, Junior (Jesse Knight) who was his nephew, Willie Sims who we called Bad Boy. And I took the saxophone from my band, C.W. Tate. Ike introduced me to Sam Phillips. 'You want to cut a record'? 'Yeah', So start singing and playing'. We had not rehearsed anything, but two or three of those tunes I was doing with my Playmates of Rhythm. Sometimes you'd get in (to Sun) around one or two o'clock in the afternoon and we'd be there all night, sometimes into the next day. Nobody worried about the time. Ike, he'd be playin' piano, showin' you different things. Sam Phillips, he'd be running the board'', said Milton. Billy Emerson was one of the most musically sophisticated bluesmen ever recorded by Sam Phillips. His songs were consistently a cut above the average. Several contain lyrical or musical hooks that rendered them borderline novelty records, so it's little wonder his music has been covered by white artists, and crosses genres and decades. One of the joys of being the sole proprietor of a record company is that one can issue titles that are commercial suicide but nevertheless deserve to be issued. Surely Sam Phillips could not have held out great hopes for this title but its overarching simplicity is so moving that it cried out for release. Even after the passage of 30 years, Phillips remembered Seratt, ''Oh that man. I never heard a person, no matter what field of music, could sing as beautifully. The honesty! The integrity The communication! He had such an unpretentious quality. It had a depth of beauty about it in its simplicity. Oh God Almighty, that was a sad thing because I could have recorded him 'ad infinitum' and never got tired'', told Sam. From the very first harmonica notes it is clear that this is going to be no ordinary record. It is not that harmonica players were a rarity in the mid-South, for Howard Seratt is merely adapting the music of Lonnie Glosson and Wayne Raney who had been firm radio favorites for many years. Indeed, it was Wayne Raney's pals, the Delmore Brothers, who originated ''Make Room In The Lifeboat For Me'' recording it for Decca in 1940. It has more to do with the reassuringly solid execution of both guitar and harmonica styles and the convincing tone in which Howard delivers the moving lyrics. This recording was made in 1953 by Sam Phillips as a custom order for the short-lived St. Francis label of Forrest City, Arkansas. 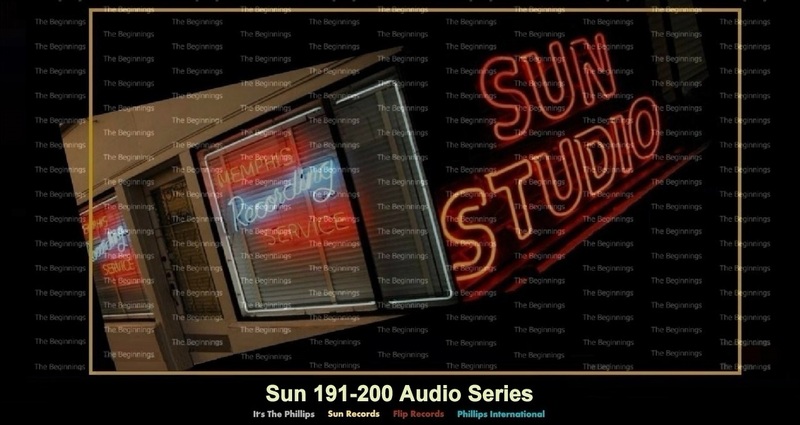 It would not be long before Sam Phillips would invite Howard back to record for Sun. On ''Jesus Means All To Me'', again adapting the harmonica style of Lonnie Glosson and Wayne Raney, this time at a brighter tempo, Howard Seratt leads into another deeply felt religious message that is so attractively delivered and yet so disarming as to momentarily convert even the most confirmed of atheists. It is at this faster pace that one can particularly see the reason why Sam Phillips was so taken with Howard's music and so anxious to open negotiations with him about the possibility of recording of some secular music.